Are you in need of a new pair of running shoes? 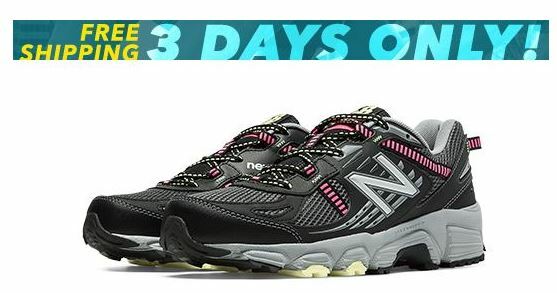 Today only, Joe’s New Balance Outlet is offering these Women’s New Balance Running Sneakers for just $34.99 shipped (reg. $64.99!). These lightweight sneakers offer a superior road grip and are built to last. Joe’s New Balance Outlet is offering free shipping on the entire site through tomorrow – so be sure to check out all the deals they have to offer. Before doing anything else, sign up first with Giving Assistant so you can earn 5% cash back on your purchases. Click HERE to activate your 5% cash back offer from Giving Assistant!! !